Today, ‘Messe Stuttgart’ has opened the doors for the “Start-up Summit BW 2019” for the second time. 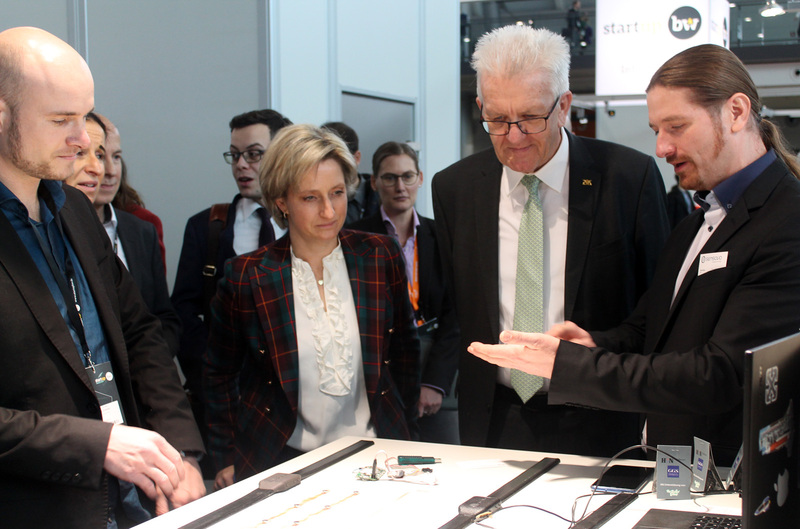 More than 350 startups and over 4000 visitors compare notes on the latest technologies and innovations – right in the middle: Sensovo. With the own stand on the ‘eco-island Heilbronn’ they also got even more prominent visit. 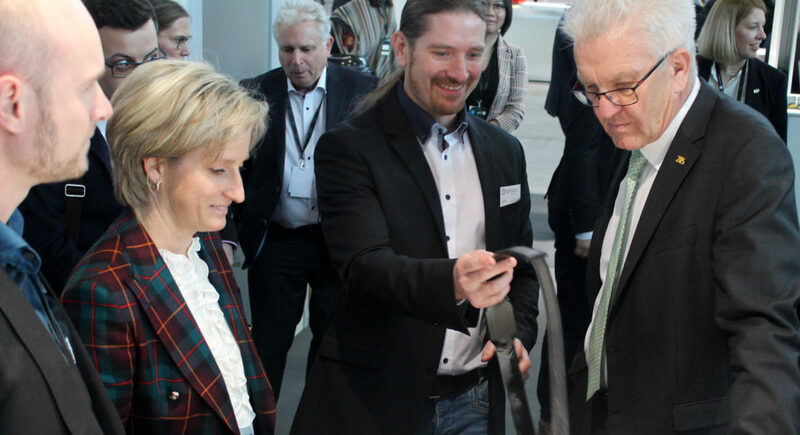 No one less than Prime Minister Winfried Kretschmann was interested in the eco-island Heilbronn, especially for the technology of Sensovo.